The past couple of weeks have been very busy for the rocketry team. This week, sponsors, industry professionals, professors and colleagues have been invited to review the technical details behind this year’s rocket, Hyperion. 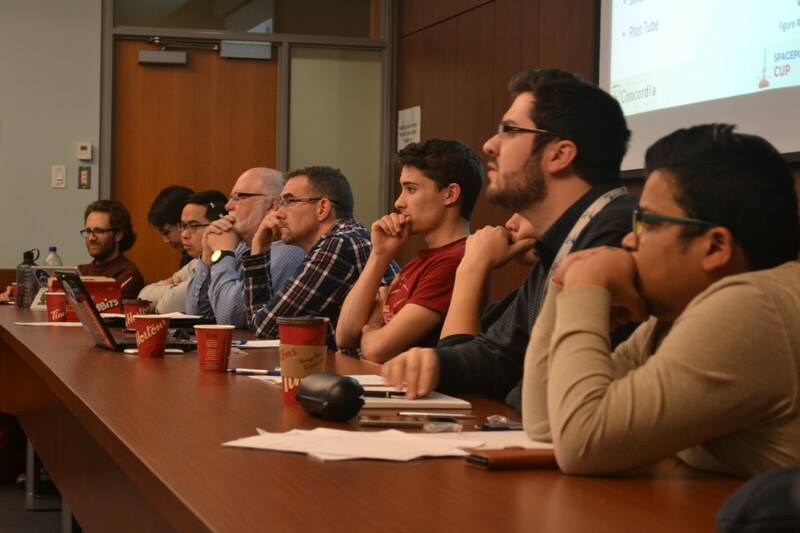 Participants included people from the Canadian Space Agency, MDA Corporation and CQF. The purpose of this Critical Design Review (CDR) is to ensure that the rocket is ready to move onto fabrication and testing. 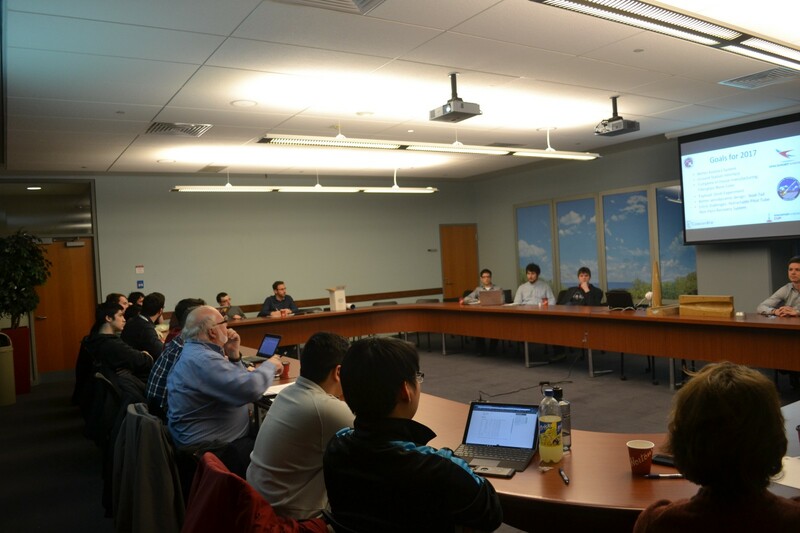 The team had 2 hours to present its technical details and product specification. The Hyperion team is set participate in the New Mexico Spaceport America Cup. This competition is an expansion of the Intercollegiate Rocketry Engineering Competition (IREC) and will feature 110 teams from 11 countries. Hyperion’s design is very complex, but perhaps the most notable feature is its in-house fiberglass nosecone. This is the first time the team will be manufacturing such a complicated piece themselves. In addition to this, the Hyperion rocket will hold a fluid slosh experiment, which is meant to solidify the team’s understanding of a fluid’s movement within a rocket and its effects to the rocket’s behavior. Results from this experiment will be used to validate the team’s simulations so that future rockets may accept liquid propellants. Hyperion will also feature a pitot tube made in-house. The purpose of this sensor is to measure the velocity of the air surrounding the rocket. The mechanical intricacies of these payloads offer a great opportunity for the team to demonstrate their technical capabilities. After a long review, the team is now confident on their design and is preparing for the next phase in their project: manufacturing. Although the team has completed this major milestone, the project is far from completion. Even after this busy week, the team moved right back to work with the manufacturing of their main fuselage. They are working hard day and night to ensure that the rocket will be in the best conditions, and ready for its launch this coming June.